If you’re a homeowner, you know that there is always something else that you want to do or add to your home. Sometimes these changes are to add monetary value to the home, and some of these changes are simply to suit our personal tastes. 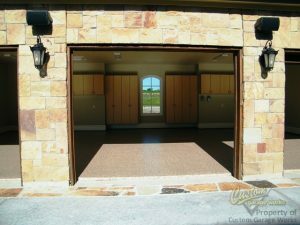 At Custom Garage Works, we specialize in garage remodeling services such as floor coatings, organization, and even vehicle lifts. Today we will discuss residential garage remodels, and some of the benefits they can bring. Can Your Home Benefit From A Garage Remodel? Some clients want to convert their garages into an additional room for the house. Not only is that very expensive, it can also hurt the value of your home. Remodeling the garage into a brighter and more finished area, however, will likely improve the value of your home. A remodeled garage is generally just a better space to enjoy! If you are the kind of person that enjoys spending time in the garage, sealing the floors and adding more storage space can truly increase how enjoyable your garage is. While transforming your garage into a room in the house can hurt property value, you don’t want the garage to be disregarded as just a storage area either. By painting the garage, adding storage, sealing the floors, and so on, you can effectively use the garage to extend the living space of the home. If you are interested in learning more about how a garage remodel can benefit your business, give us a call at 214-494-9068 to speak with an expert! Posted in Uncategorized on December 22, 2017 at 5:01 pm by Custom Garage Works.